Car Cash Point was named winner of the Best Customer Focus Award at the 2014 Best Business Awards. 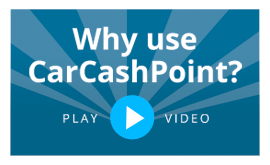 Established in 2010, it has not taken long for Car Cash Point's unique approach to short-term finance to make a lasting impression on the market. By focusing on the customer at every step in the customer journey and in the development of their service delivery, they have created a platform for sustainable growth and a strong brand to which their customers and staff are loyal. In congruity with many high-growth businesses, a customer-focused culture is at the heart of Car Cash Point's success. To create the UK's favourite log book loan company, Car Cash Point's team of three founding directors added to this guiding ethos and philosophy, carefully devised layers of infrastructure and process to create a business that exists to serve the needs' of each and every customer. Car Cash Point's winning blend combines three basic key ingredients: A fully flexible, fair and transparent product, outstanding customer support and interest rates, guaranteed to be the lowest. These components coupled with a fully compliant process that exceeds industry regulatory requirements and regulations, ensures that Car Cash Point does it all it can to help its customers. With the customer in the driving seat and our staff on hand at every moment in their journey, Car Cash Point has propelled itself to the top of the leaderboard on trispilot.co.uk, rave review across the web and an established reputation as a highly responsible lender. With a clear blueprint and vision for the direction of their business, the future looks bright for consumers seeking short-term finance.